“MONSTER MAGAZINE NO.3 IS HERE! 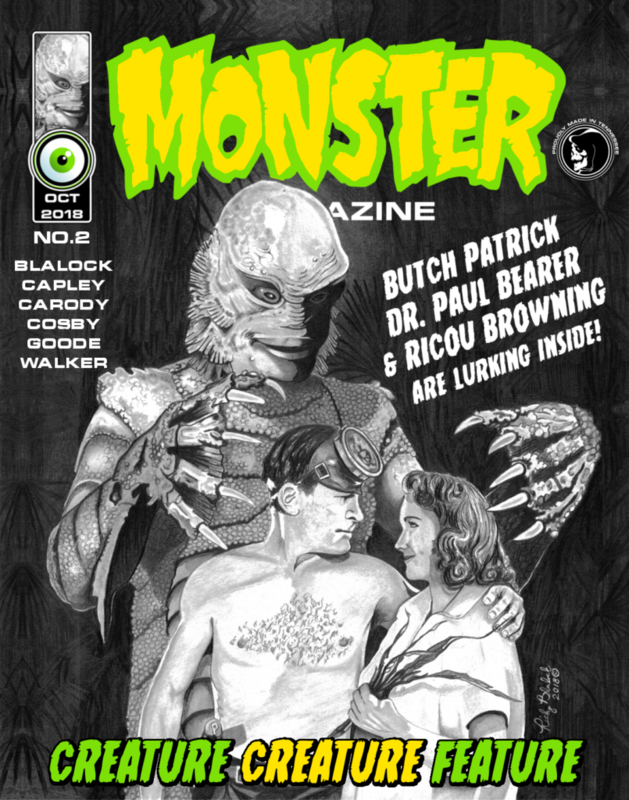 Yes, boils and ghouls, we have once again risen from the grave to bring you MONSTER MAGAZINE NO.3 ! !”, says magazine host Grim Reaper. And we are loving it! 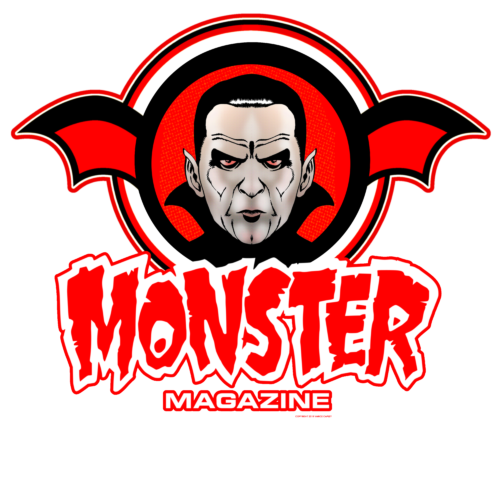 What is Monster Magazine? 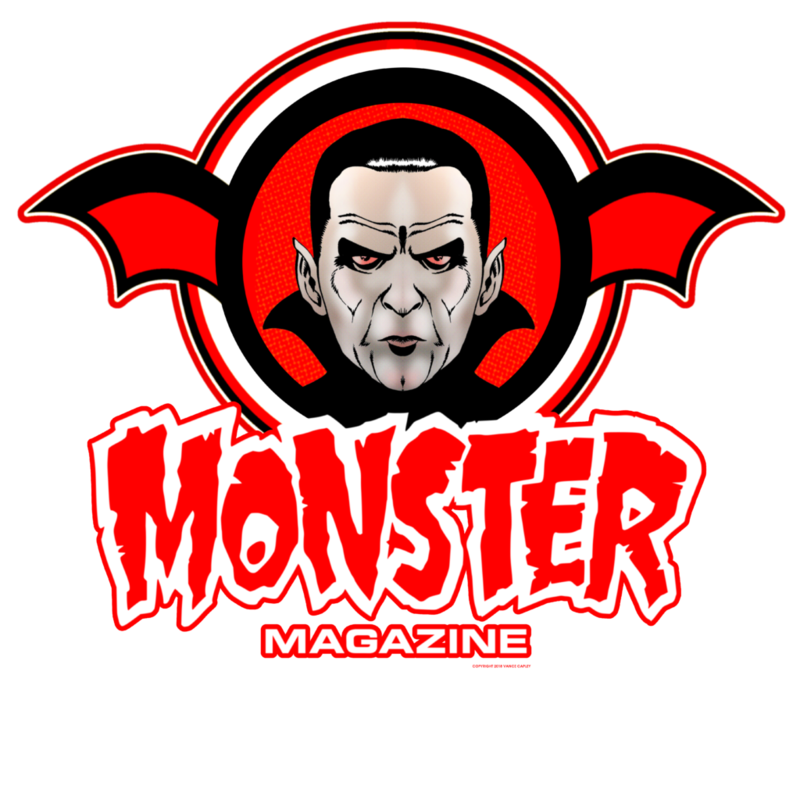 Monster Magazine, the retro horror/comic magazine, contains film reviews, comics, and monsters…lots of monsters! The magazine covers material from 1972 and back. 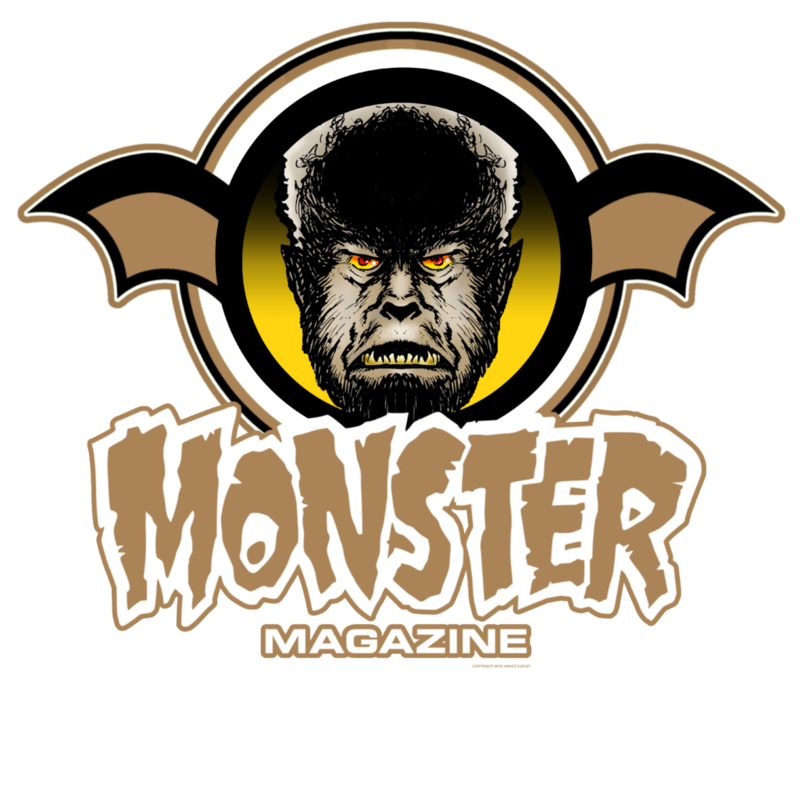 Famous Monsters of Film Land, Eerie, Creepy, and Nightmare are just a few magazines of “yester-fear” which serve as inspiration for Monster Magazine. WHAT’S IN ISSUE NUMBER THREE? DID YOU MISS OUT ON ISSUES 1 AND 2? Never fear, we have you covered! 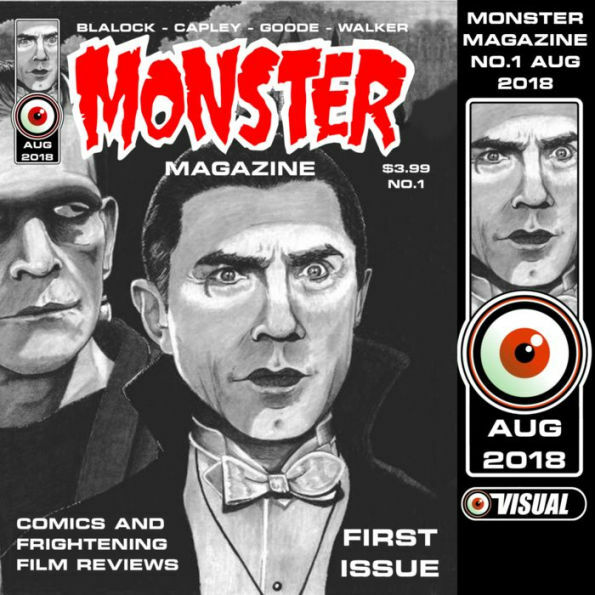 By popular request, we are offering numbers 1 and 2 of Monster Magazine, signed editions only, with the limited edition Monster Magazine button (only 50 made) for only $18.99 (plus $7 S&H US only). 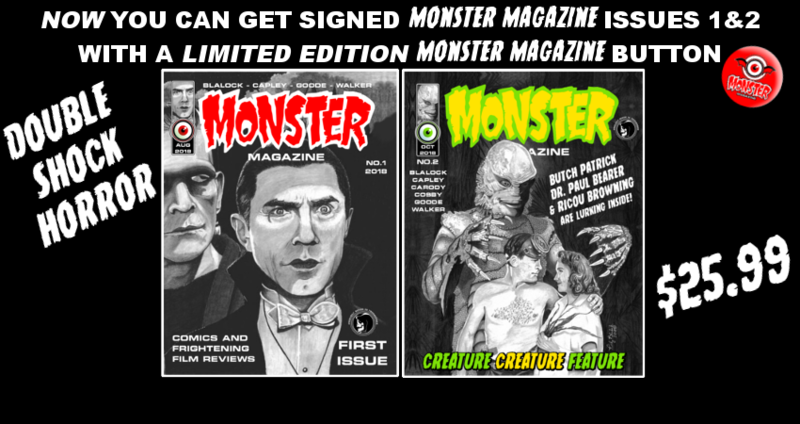 We call it the Monster Magazine Combo Pack! NEED TO GET THEM SEPARATELY? READ ON…. 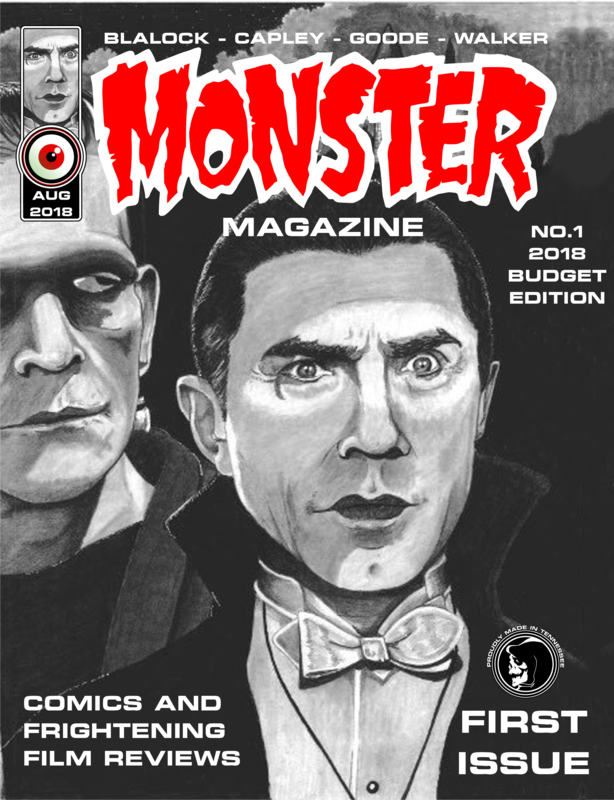 WHAT’S IN ISSUE NUMBER TWO? 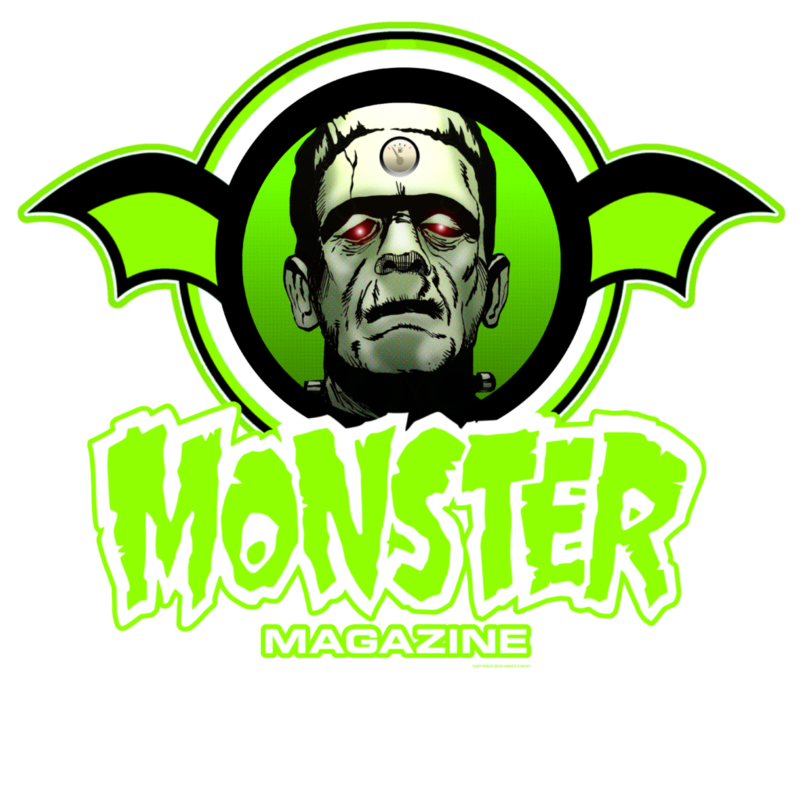 This issue contains an article by blogger Dave Goode (the Goode Stuff blog). He writes about the 1965 cult film Konga. David Walker presents a look into surreal moments in horror films. 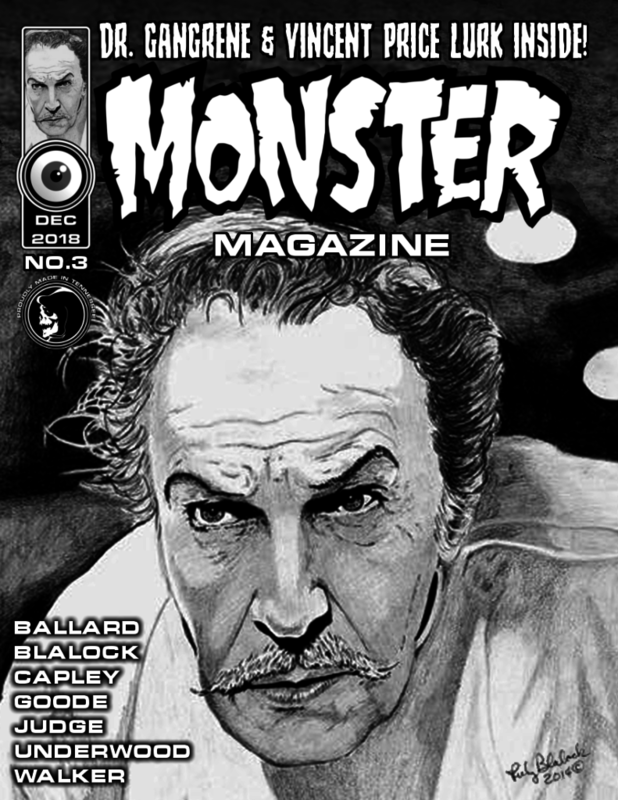 Artist Vance Capley (vancecapleyart.com) presents an illustrated version of H.P. Lovecraft’s Dagon. 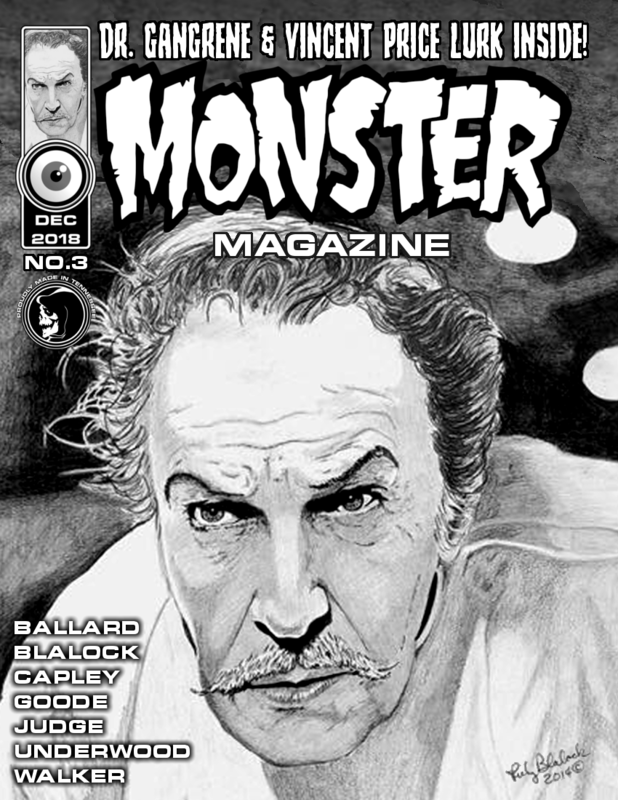 And finally a fantastic interview with cover by artist Ricky Blalock.